Omron’s VT-X700 Automatic X-ray Inspection system incorporates the perfect solution for manufacturers desiring high quality, in-line, Automated X-ray Inspection on PCBs containing components such as BGAs or LGAs and Through-hole connectors. Traditional X-ray technologies are limited in inspecting these types of components, but Omron VT-X700 incorporates ‘Computed Tomography’ (CT) specifically to provide high-precision, X-ray imaging to perform precise and reliable analysis of these hidden soldered areas. VT-X700 is capable of inspecting accurately and reliably, soldered defects such as Head in Pillow and void within BGA and LGA devices. Measuring the percentage solder including voids in QFN’s, and Barrel Fill in through-hole devices. Traditional AXI systems incorporate 2D or 2.5D X-ray technologies, but these technologies provide limited capability causing high false calls and are insufficient to find core defects such as Head in Pillow. The limitation of these systems is the capability to inspect PCB’s with double sided components. (Fig.1)3D-AXI overcomes the deficiencies of traditional 2D or 2.5D system; however, in today’s AXI systems, there are two basic forms of 3D X-ray, Tomosynthesis and Computed Tomography. Even within these technologies, there are differences in capability to provide reliable capability inspection results. VT-X700 Inspections are performed very quickly at speeds of only 4.5 sec per field-of-view (fov). In comparison to Tomosynthesis, VT-X700 utilises CT reconstruction software and laser displacement technology that gauges the PCB surface for each solder-joint (e.g. 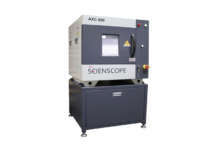 each solder ball of BGA), compensating for any warpage and allowing the system to perform cross-sectional analysis at the proper slice-level locations. Selectable resolutions of 10, 15, 20, 25 or 30 microns combined with selectable numbers of X-Ray projections (up to 128) allow for user-driven variation between higher inspection speeds for production environments, and ultra-high quality 3D image acquisition for research and defect analysis. 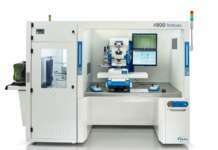 Omron incorporates CT as VT-X700 principle Inspection criterion. 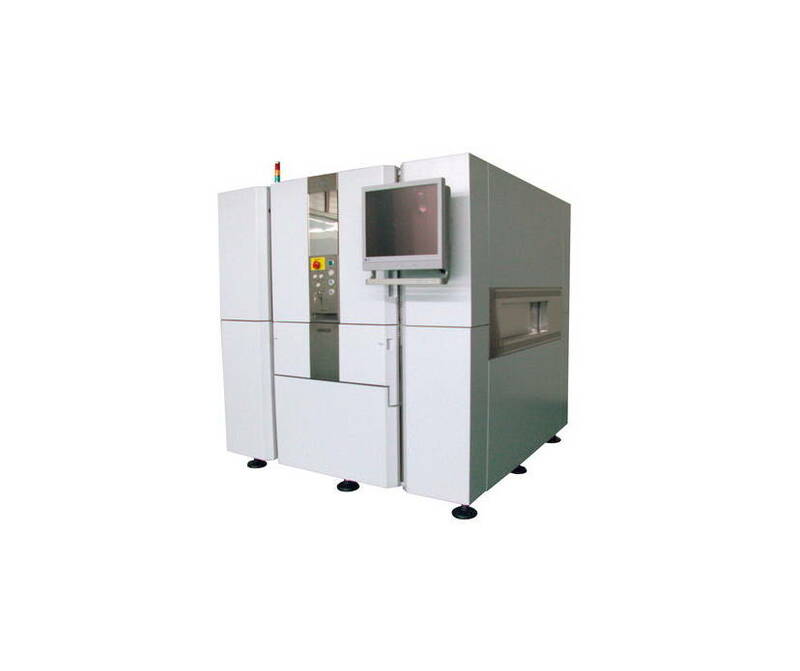 The key factor was to develop 3D X-ray technology that addresses the limitations of other 2.5D and 3D X-ray technologies, thus providing the highest quality solder joint inspection for key industries such as Automotive, Aerospace, Infrastructure, Communication and Medical.